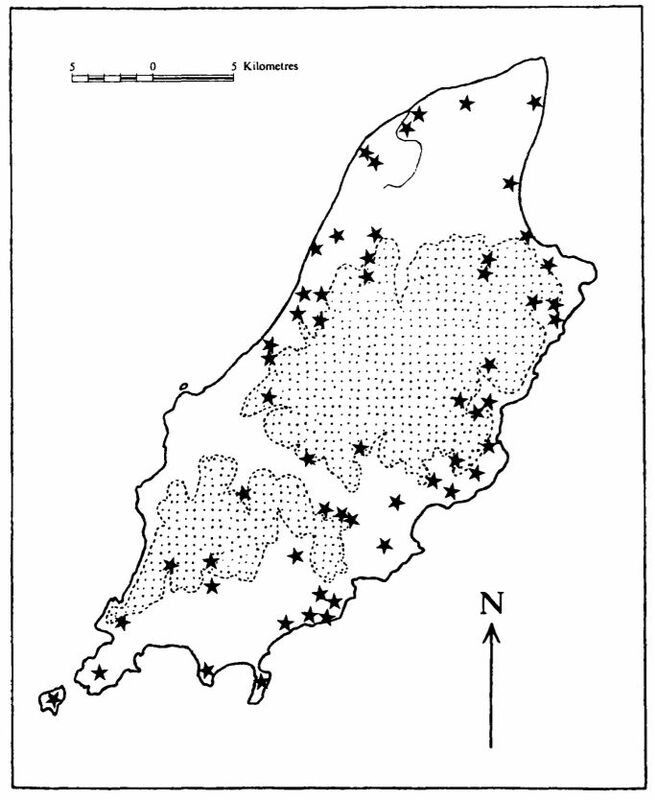 Place-name evidence in the Isle of Man aids the understanding of settlement patterns in the Island. The spoken language in pre-Norse Man was a form of Gaelic which belonged either to the Brythonic branch of the language (i.e. from Wales or Cornwall) or to the Irish Goedelic. Both languages appear in pre-Viking inscriptions, but they occur in such small numbers that they are statistically useless. The language that emerges during the 13th century, at the end of the Norse hegemony is Goedelic. This suggests that it might have survived through the Viking Age as the main spoken language. 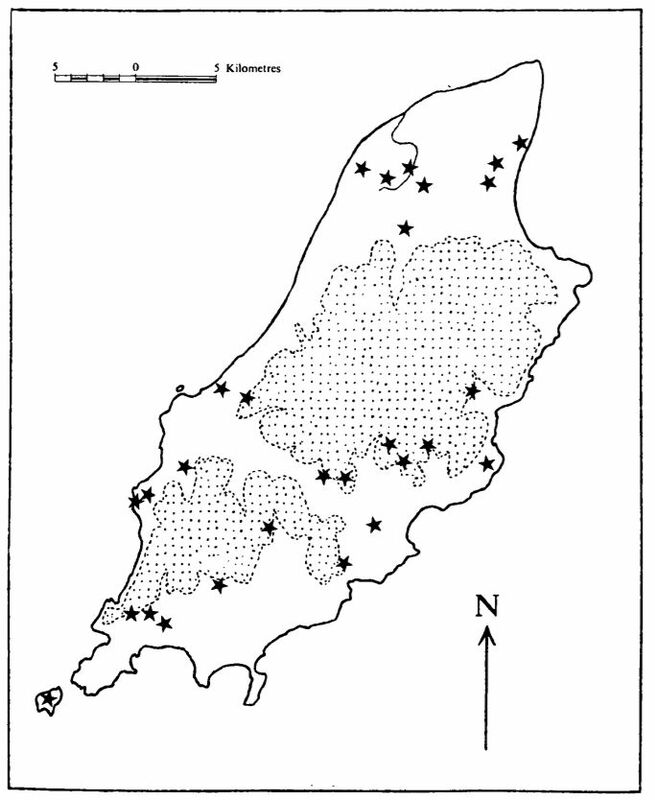 One can see, however, that Old Norse was the language of the wealthier tier of Manx society during the Viking Age, although the appearance of Celtic personal-names on inscriptions in the 10th century indicates that part of the population used a Gaelic Language. Nonetheless, it is clear that Norse was considerably used in constructing place-names, some of which appear to retain some pre-Viking elements. Despite the continued survival of these pre-Viking elements, there are only three place-names that can be shown to be completely Gaelic: The name Man itself, the parish-name Rushden and Douglas. Names based on types of settlement are rarer than topographical names. 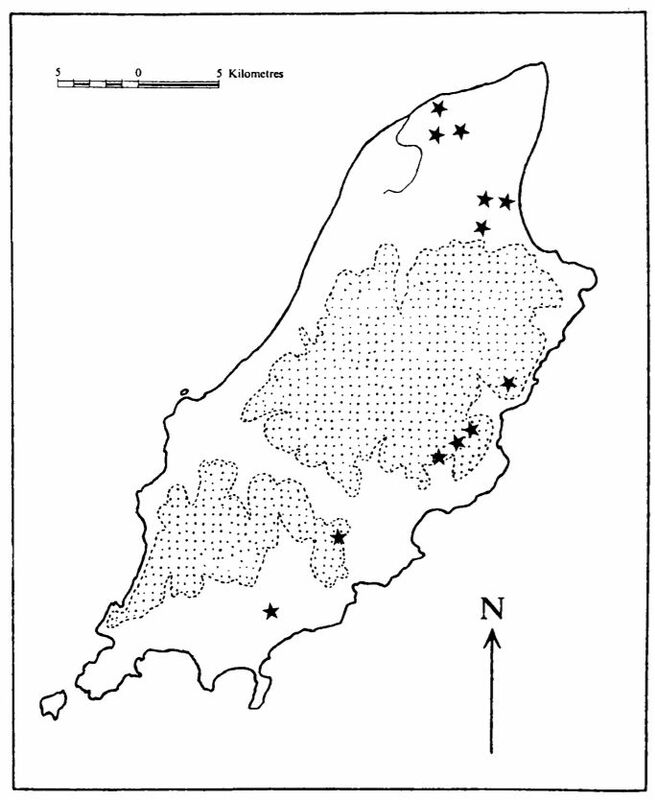 Elements terminating in – staðir (as -st(aðir) in Leodest) occur in 12 places. These names may represent an early, secondary settlement separated from an original estate as they do in Norway and the Northern Isles. This could represent land given by a person of high status to one of his military supporters. The termination -bý (as in Jurby and Sulby)is thought to have a similar meaning to staðir, but is of Danish origin. These names possibly arrived in Man through the north of England.